For a limited time, we’re increasing the 2018 annual Income Base Bonus on Class Plus 3.0 from 4% to 5%! Our new Class Plus 3.0 sales aids may help grow your business! Whether your clients are retired or planning for retirement, they want the right investment product for their golden years. 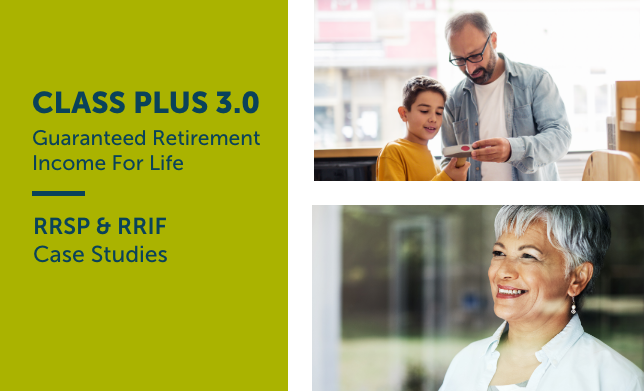 These two case studies can help you discuss the benefits of Class Plus 3.0, our guaranteed retirement income for life solution,1 with your clients to demonstrate how it may benefit their personal situation. John, age 50, is looking to retire at 65. He wants his RRSP to generate guaranteed income to help cover his fixed expenses in retirement. Michelle, age 71, needs to convert her RRSP to a RRIF. She wants a steady income that she can depend on. to 5%!3 The 5% annual Income Base Bonus - not pro-rated - will be applied to ALL new and existing Class Plus 3.0 contracts. To find out more, contact your Empire Life sales representative today. 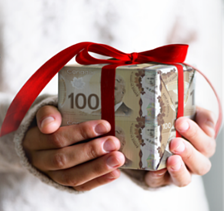 1 Making an Excess Withdrawal may decrease the guaranteed retirement income for life amount. 2 The Income Base Bonus is credited in years that there are no withdrawals from Class Plus 3.0 for the first 20 calendar years you own Class Plus 3.0. It is a notional amount and has no cash value. 3 If no withdrawals are made in 2018. Offer ends December 31, 2018. Annual Income Base Bonus returns to 4% in 2019. A description of the key features of the individual variable insurance contract is contained in the Class Plus 3.0 Information Folder. Any amount that is allocated to a Segregated Fund is invested at the risk of the contract owner and may increase or decrease in value. You received this email because you are subscribed to Marketing Information from The Empire Life Insurance Company. ® Registered trademark of The Empire Life Insurance Company. ™ Trademark of The Empire Life Insurance Company. Policies are issued by The Empire Life Insurance Company.